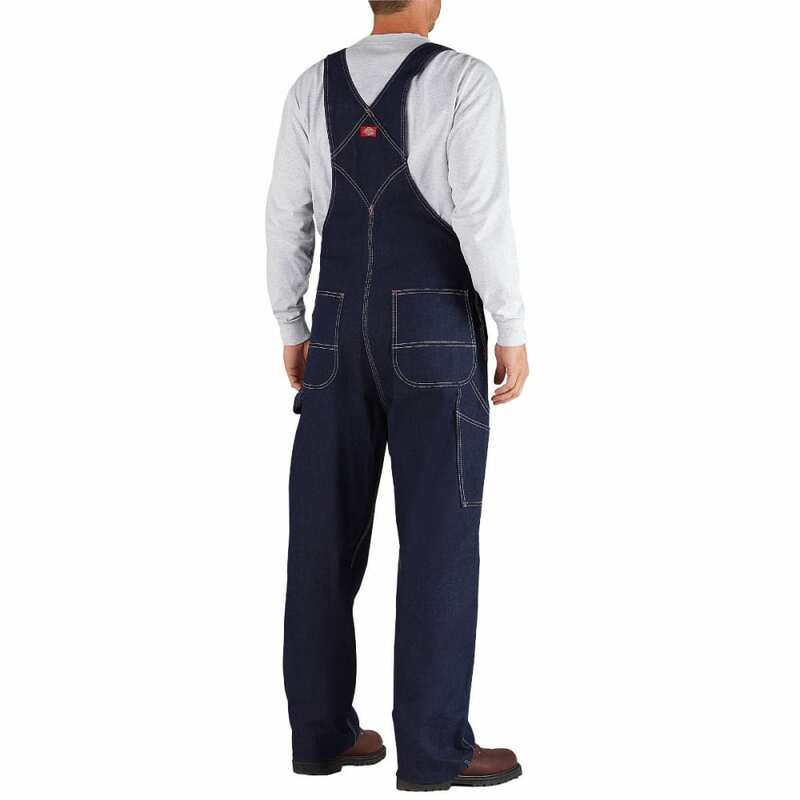 This overall features all your favorites--large bib with plenty of pockets, adjustable loops and slides and 2-button side closures with top-to-bottom comfort and convenience. Triple-stitched seams are virtually tear-and-ravel-proof. 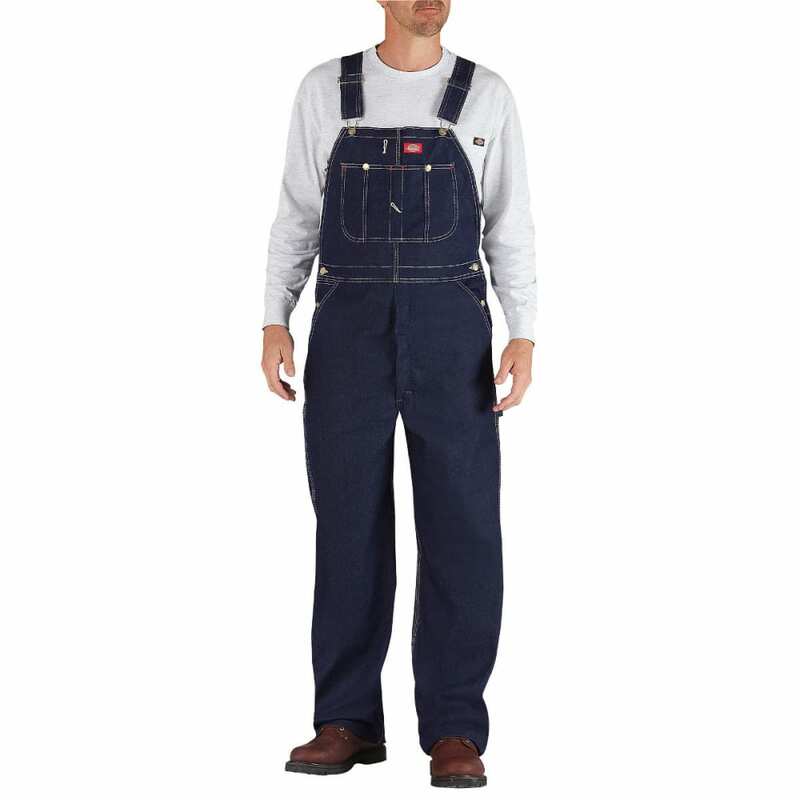 No belt to tighten, shirt stays tucked in, legs fit over boots. Plus, deep indigo blue goes with everything.